If you’re an angler or a chef, or you never skip sashimi and sushi at dinner, you can agree with us that a fillet knife is quite handy. And that’s where the Cutco fillet knife, aka the Fisherman’s Solution, comes in. This tool slices through fish like butter, yielding boneless strands you can chew worry-free. Obviously, it can be annoying eating a bony fish. We don't want you eating fish bones. 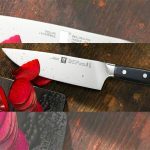 So, whether you're just getting started filleting or you're a pro, you want to know the ins and outs of the Cutco fillet knife. 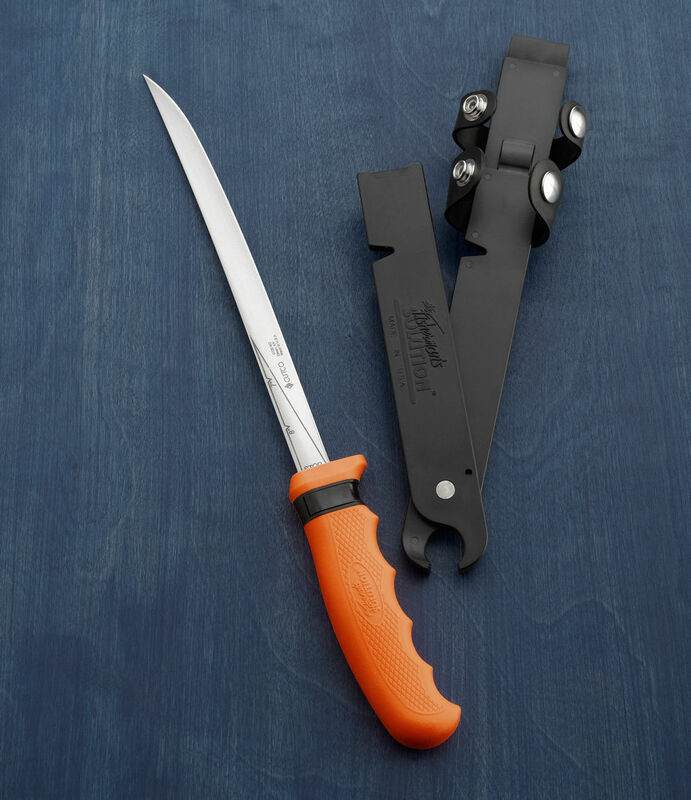 This razor-sharp knife could be just what you need to take your filleting at the next level. Let’s jump right in! Mention the word "Cutco" and you've got everyone thinking about cutlery. As a direct-sales entity, Cutco has been in business for about 70 years now. It is headquartered in New York and manufactures a range of kitchen accessories. 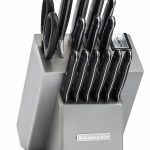 This includes cutlery, utensils, outdoor, and sporting knives. The company runs a non-profit organization and currently has a couple of retail shops. It's true fillet knives aid bone removal from meat. However, a fillet knife is more often to tackle fish, helping remove both bones and skin (scales). Fillet knives are long, and extremely thin. Most of these, with the exception of those used on larger fish, are also flexible, so they can make for an easy maneuver around the Y bones. A boning knife, on the other hand, is used on different types of meats, including chicken and pork. It helps remove bones from tougher meat. 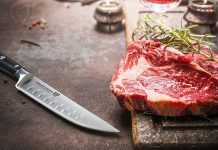 Boning knives aren’t as thin as fillet knives, and they're relatively sturdy as they tackle firmer meat. They're also shorter than fillet knives. However, be sure to check with the manufacturer's manual as both knives could be multipurpose. Some fillet knives are excellent at boning while some boning knives are good at filleting. 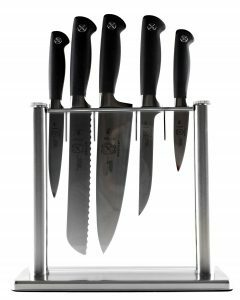 With so many fillet knives in the market, it can be quite daunting knowing how to separate the wheat from the chaff. But here’s what to look for when in the store. Do you need a manual or electric tool? Either way, note that electric knives carry a heftier price tag than the manual knives. However, they are quite easy to use. Beginners most likely won’t have issues with those. Manual knives are cheaper, and you don't require power to operate them. Nevertheless, they may not be a good fit for beginners. Depending on your needs, you might either need a knife with a flexible or a sturdy blade. For example, if you often tackle small bony fish, you are better off with a flexible blade. Flexible means you can twist and turn the knife in whatever angle you need for a perfect job. If, on the other hand, you're dealing with bass or other large fish, then you want to go for a sturdy blade. This also works fine on less bony meat. When it comes to warranty, you want to choose wisely based on your needs. Most manual knives come with a lifetime warranty. Also, some let you have your knife sharpened free of charge or even replaced, among other things. 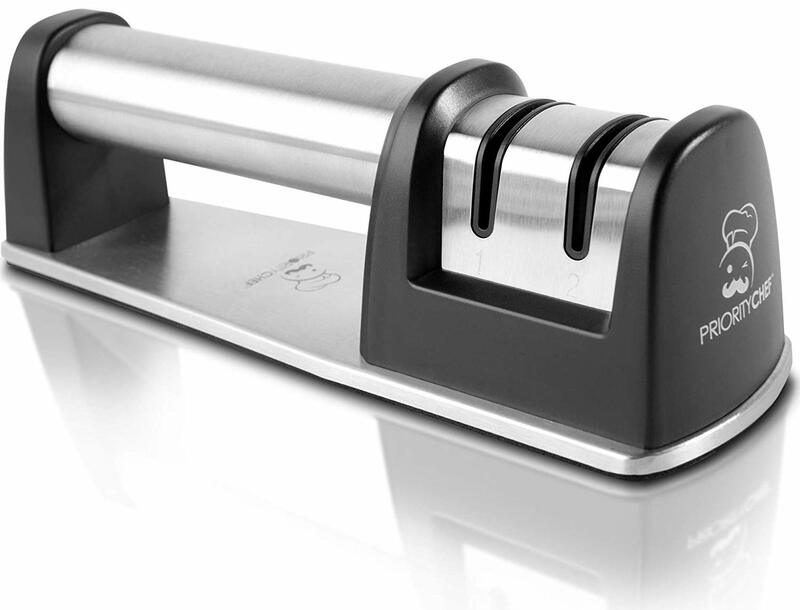 Electric knives, however, feature a limited warranty of up to two years. 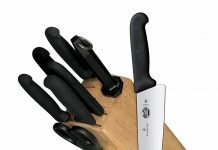 Fillet knives have handles featuring different material, from rubber to wood and plastic. All of these materials come in handy depending on your needs. Just note that plastic handles usually give a good grip as they have grooves (or something pretty similar). A grippy handle is convenient in wet conditions as it doesn't slide out easily. With a range of 6 to 9 inches to choose from, it's vital that you select your knife's blade wisely. Some knives can be longer than this range. The thing is, longer blades are useful when filleting bigger chunks of meat. Shorter blades, on the other hand, are an asset when handling smaller meat. We recommend having different types of lengths because you never know when each of those could come in handy. The Cutco fillet knife is one tool that's sure to serve you decently. 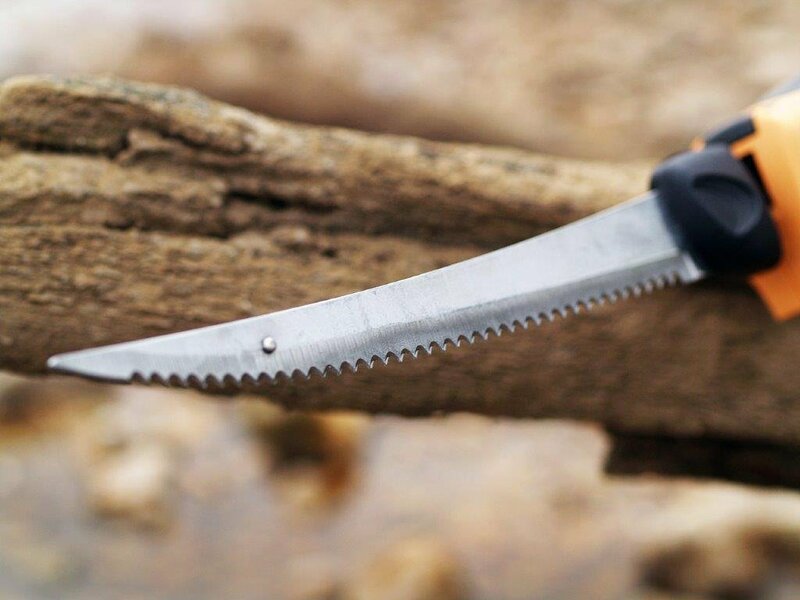 When it comes to versatility, the knife is sure to be a winner with its extendable blade. 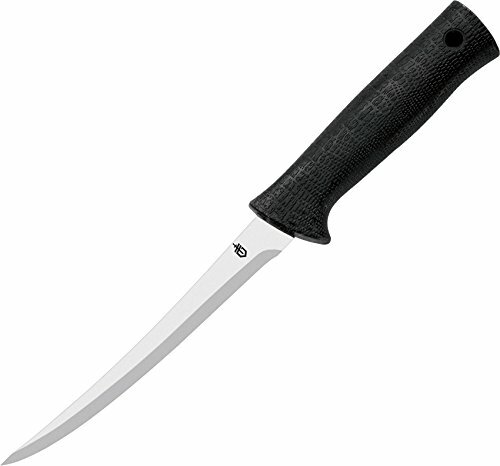 Consequently, whether you want to switch between six to seven or even eight inches, the knife has got you covered. It can extend well up to nine inches to cater to varied uses. And that doesn't add to the knife's weight as it's only nine ounces. The blades are also made from high-carbon stainless steel; in other words, you get something durable. The fish slicer comes with a sharpener, too. A sharp blade makes for a smooth, precise cut. And if you're a fisher, you will love the notched line cutter. It comes in handy whenever you need to trim that fishing line. The terrific gripper is an asset. Users like that it offers a “sure” grip. It's never a problem pulling the hook with it. You get two colors for the handle as well. Cutco products come with a lifetime warranty, and the Cutco fillet knife is no exception. Whether you need the product repaired or sharpened, they are more than willing to do it for you. They could even replace the product and accessories if need be. And no, you don’t need to present your purchase receipt. Simply take your knife with you. The Cutco Fillet Knife boasts a price range of $130 to $180, and buyers on Amazon rate it 4.4 out of 5 stars. With that said, you can buy this product on Amazon as well on the manufacturer's website. In our quest to give you the best of the best info, we delved past page 10 of Google for the best review sites. The Cutco website didn't let us down, either. We also analyzed reviews from real users on Amazon. The Cutco fillet knife might be a good fit with regards to filleting, but it might not be for everyone. People have distinct tastes and preferences, and what's pretty to someone might be ugly to someone else. 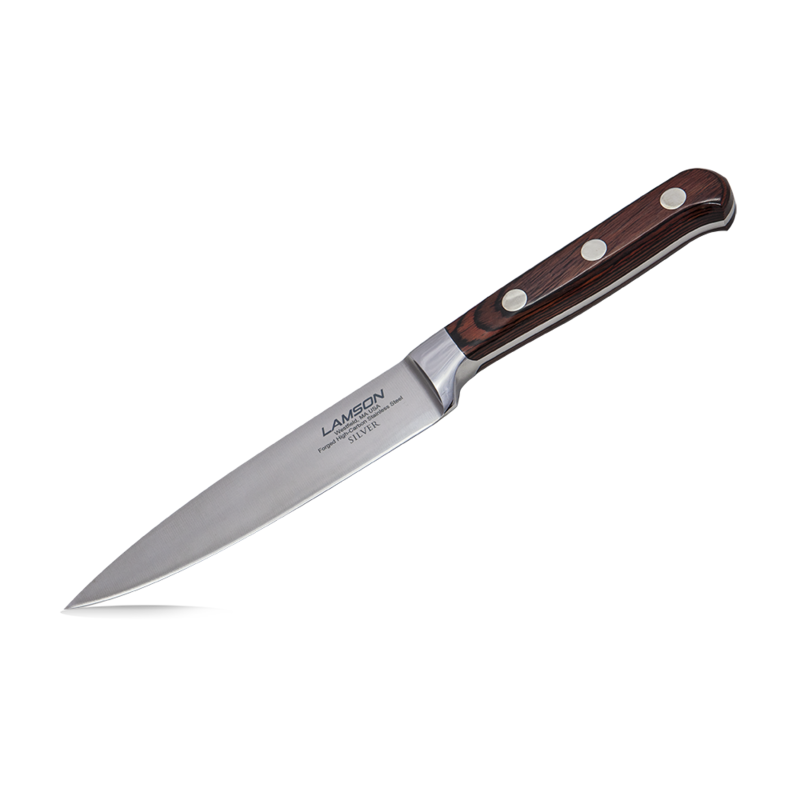 The following are five alternatives to the Cutco fillet knife. This list is in no particular order. First up is Wusthof with its versatile tool. Once you have it, there's no need to buy boning and skinning knives as this knife can perform every job. It's also stain-resistant, meaning it will remain as good as new for a long time. The handle is grippy for enhanced performance in wet conditions. Among other things, the Wusthof Classic is durable and is easy to clean. You'll like the lifetime warranty, too. Users like that the knife is of high quality. It’s pretty sharp, making for an easy cut. 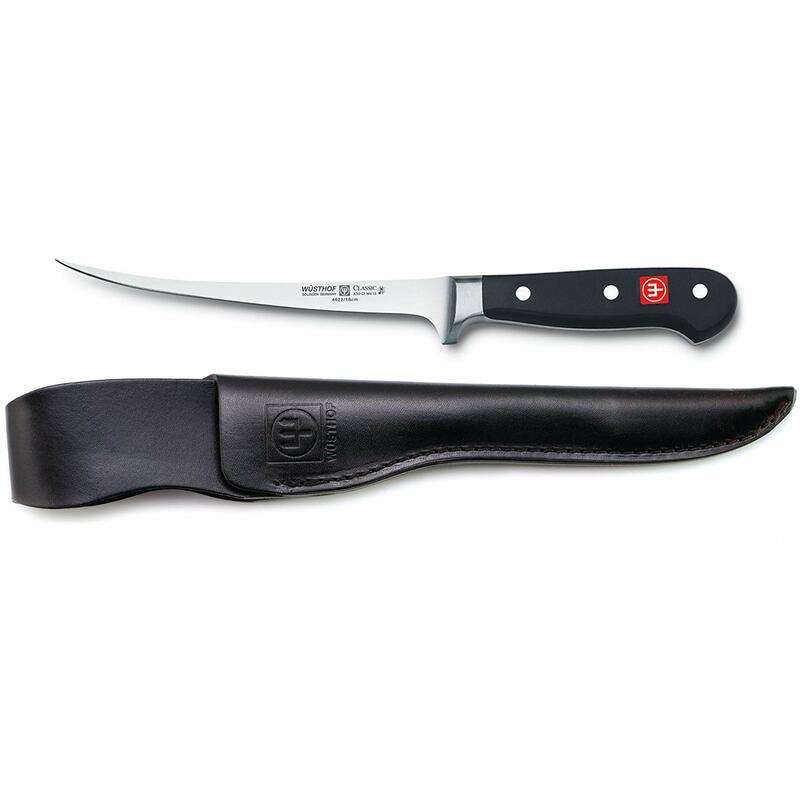 However, the Wusthof Classic knife is comparatively expensive. And, while the knife is durable, the same can’t be said of the sheath, according to buyers. 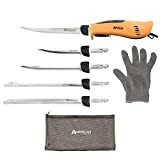 This knife costs $130 to $160, and Amazon reviewers give it 4.1 out of 5 stars. The American Angler PRO electric fillet knife is Another excellent option to the Cutco fillet knife. And, thanks to its great engine and sharp blade, it’s easy to fillet fish with this tool. The American Angler also boasts a longer power cord for convenience. And, when plugged in, the fillet knife works automatically. According to users, this knife is pretty easy to control. Customers who bought this knife loved how sharp it was. However, some users couldn’t hide their disappointment. They found that the handle is kind of odd. Not just that, but it also gets a little hot when used for longer periods of time. Also, the button isn't that durable. The American Angler goes for $125 to $150. It garners an Amazon rating of 4.0 out of 5 stars. If you’re looking for a knife that can double as a kitchen tool and outdoor savior, then the Gerber Gator is sure to not disappoint. It’s relatively small so you can carry it with ease while outdoors. That’s not all, but the handle is grippy enough so it doesn’t slide out. And the blade boasts terrific stainless steel that preserves the knife's sharpness for quite some time. 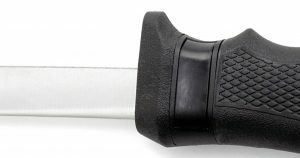 Users appreciate the strong sheath, which has a sharpener included. It’s also easy cleaning the knife, according to buyers. Some people who've used this product, however, have issues with the knife’s quality. It’s dull and doesn’t fillet that well. It's also prone to breaking after a couple of uses. And other folks complain the sharpener is kind of mediocre. You can get the Geber Gator for $9 to $25. Amazon customers gave it 4.3 out of 5 stars. If you do tackle larger fish, this Bubba product might be a good fit. At 12-inches, the blade is perfect for ripping through bass or salmon. The safety guards are a bonus, and the stylish handle gives you a terrific grip. Most users have no qualms with the product, praising it for its stability (probably because of the outstanding grip). They find that the blade is resistant to rust, too, and it’s pretty thin, making for a clean cut. No negative opinions have been reported so far. The Bubba Blade costs between $55 to $75. Amazon buyers give it 4.9 out of 5 stars. 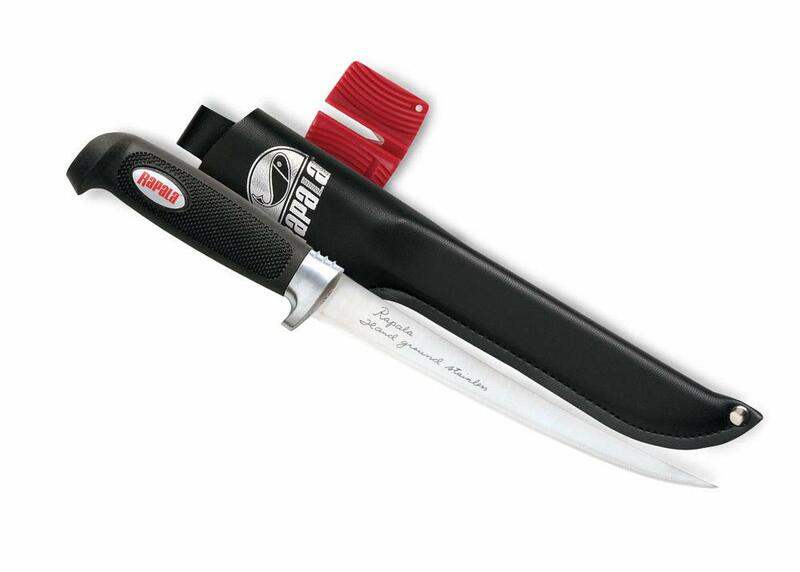 This knife is made with Rapala’s famous stainless steel. It's the reason you get a flexible blade that doesn’t rust. 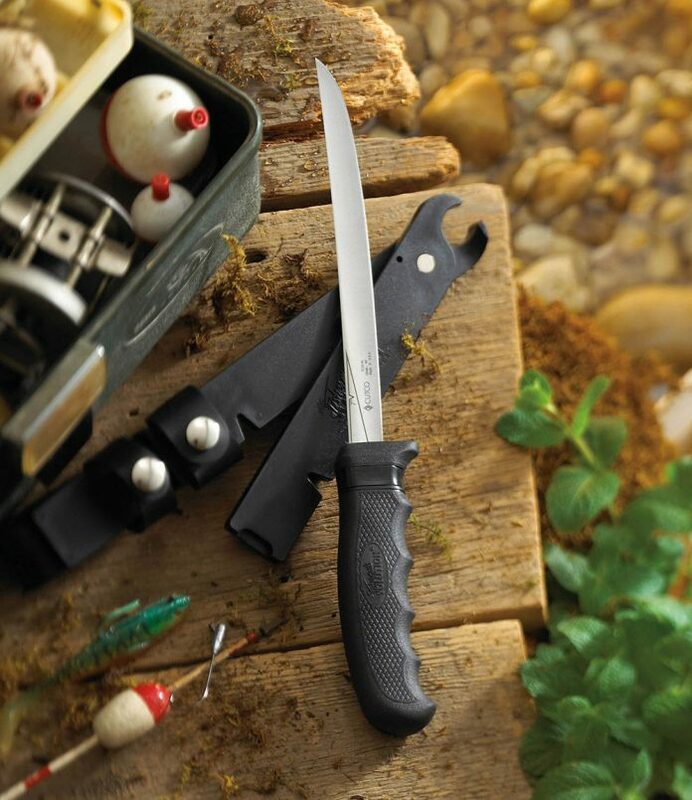 The handle comes with non-slip features for an enhanced filleting experience. A sheath is included with the purchase, as is a sharpener. The tool is longlasting and cleans easily. According to most buyers, the product is razor-sharp, and it cuts through fish like butter. 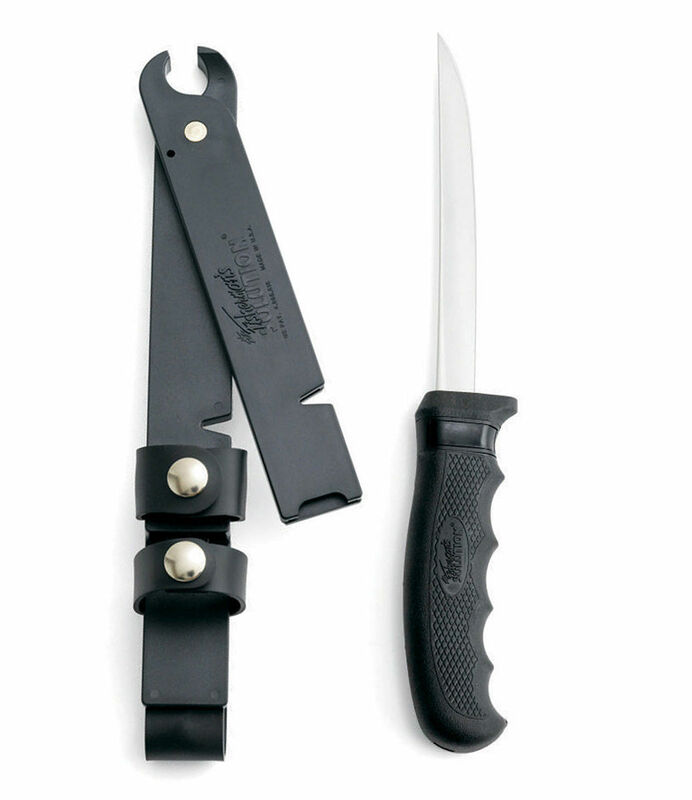 The sheath is also easy to attach to the belt for whenever you want to carry the knife with you. Some users have issues with the quality of this product, though. The blade is mediocre and is prone to breaking. Some reports indicate that the blade gets wobbly within the first few uses. And some reviews mention that the knife rusts easily. Rapala4 costs $9 to $80 and it scores an average rating of 4.6 out of 5 stars on Amazon. Is the Cutco Fillet Knife Worth the Hype? This tool is sure to be a winner when used right. Simply put, use the right blades for the right catch. Moreover, it comes with a sharpener and line cutter. The gripper comes in handy for whenever you want to pull the hook. And here's the kicker: you can adjust the blade up to nine inches long, depending on your needs. Cutco’s lifetime warranty is not to be overlooked. You can have your knife sharpened, repaired, or replaced by the company. However, if you’re looking for something you can use both in the kitchen and during picnics, then Gerber Gator could fit the bill. It’s short, making it a good fit to carry around hassle-free. It’s also the cheapest on our comparison list. And when it comes to versatility, we recommend the Wusthof Classic. Whether you want to slice up a chicken breast or skin a fish, this product is sure to be a winner. For those who prefer automatic tools, the American Angler will be for you. Controlling it is easy. You get a clean cut, too, thanks to the knife's unparalleled sharpness. Just make sure to not run out of power supply during activity.